American T26E5 Premium Heavy Tank- Upcoming to NA Server? 3 Comments on American T26E5 Premium Heavy Tank- Upcoming to NA Server? Before I start talking about the main topic, please have in mind this is just me speculating and there isn’t any confirmed source yet. I might be wrong, I might be correct but I believe the T26E5, Tier VIII Premium American Heavy Tank, might be coming this week to the NA Server. 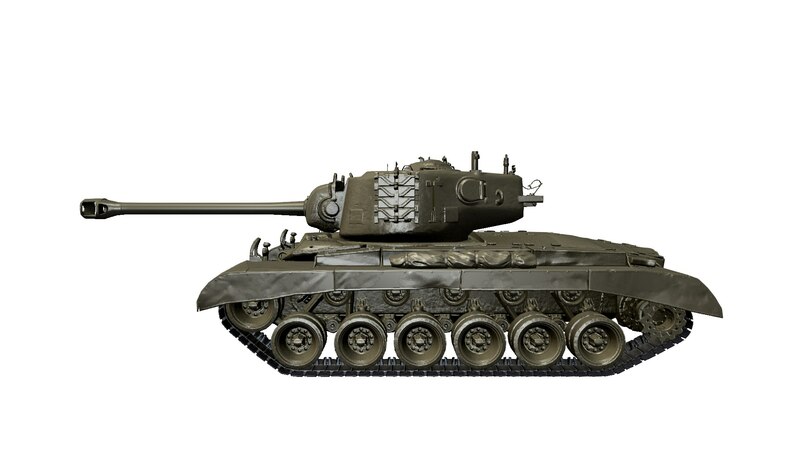 Now, look closely to that tank silhouette and compare with pictures of the T26E5, and they very very similar. Looking at the second relevant piece of information that came to my attention was the fact that the T26E5 was introduced to the latests version of World of Tanks v.0.9.16 #239, and you can confirm this on GameModels3D website. Some unconfirmed sources claim the Chrysler K was introduced because the T26E5 didn’t impress during Supertest, but the recent buff to DPM and AP Penetration, made the T26E5 a very decent premium tank. Let’s wait two more days, and we will find out if I was right or wrong… What you think? Leave your thoughts and ideas in the comment section. Well, that’s a bit random. Would be nice to have another tank in my garage. When is the AMX M4 supposed to arrive? Maybe there is a French holiday coming up.